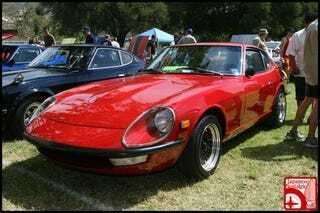 Our friends at Japanese Nostalgic Car recently went to the Z-Car West Coast Nationals in Silverado, California. As you'd imagine, there was quite a selection of tasty vintage Datsuns and some newer Nissans too. We just love the timeless proportions of a long hood and sloping back on the older Datsuns, so we've included a gallery of some of our favorites. If you wanna see more, there's plenty to check out over at Japanese Nostalgic Car.